Proven, organic and natural solutions to get rid of potato scab disease in home and market gardens. 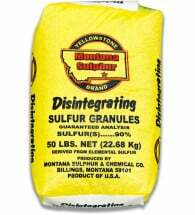 Safer than aluminum sulfate! Use with ALL acid-loving plants for superior results. 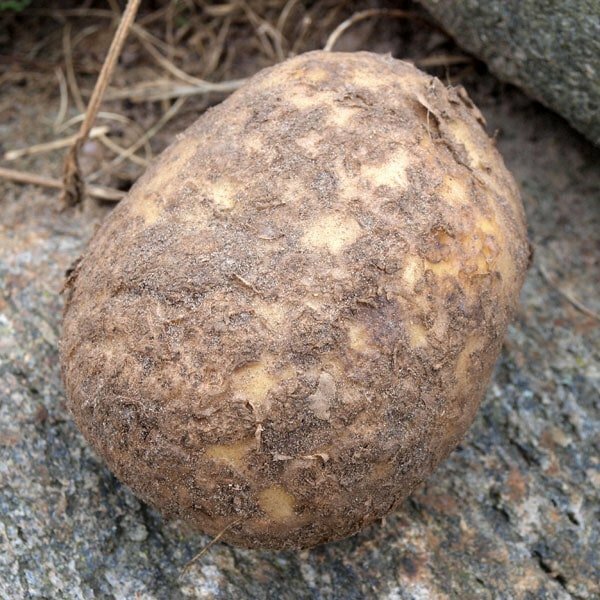 A common tuber disease that occurs wherever potatoes are grown. Potato scab symptoms include dark brown, pithy patches that may be raised and “warty.” These lesions can affect just a small portion of the tuber surface, or may completely cover it. Sometimes the ridged portions are in broken concentric rings. Can You Eat Potatoes with Scabs On Them? You bet! Affected spuds, while unsightly, are safe to eat. Just cut away the corky spots from skin and/or flesh and prepare as you normally would. S. scabies enters through pores (lenticels) in stems, through wounds and directly through the skin of young tubers. In addition to potatoes, other crops infected include beets, radish, turnip, carrot, rutabaga and parsnips. This should be kept in mind when considering a crop rotation schedule. Note: S. scabies can survive in the soil for many years in the absence of potato. The following control measures have all been proven effective against scab in potatoes. However, in most cases a combination of these techniques will be required. Plant certified, disease-free seed potatoes and resistant varieties whenever possible. We suggest using the russet-skinned varieties since they have more resistance to the disease. Rotate root crops by planting in alternate locations to limit the disease. Potato scab is most prevalent in dry, alkaline soils. 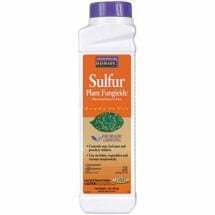 Decrease soil pH by adding elemental sulfur. The disease is controlled or greatly suppressed at soil pH levels of 5.2 or lower. 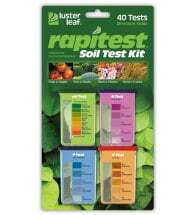 Simple and affordable soil test kits are available to check pH often. Tilling in a cover crop — mustard, canola, alfalfa — prior to planting potatoes will help reduce infection. Adequate irrigation during early tuber development may have a dramatic effect on common scab infection, but you will need to keep the soil damp for 2-6 weeks. This technique is effective because high soil moisture promotes growth of a bacteria that can crowd out S. scabies on the potato surface. Tip: If you will be planting in soil where tubers have not been grown before, or where the area is known to be scab-free, treat seed potatoes with sulfur fungicides to reduce scab introduction. 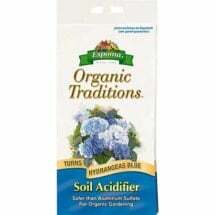 Lowers pH in alkaline soils and is used around acid loving plants such as azaleas. 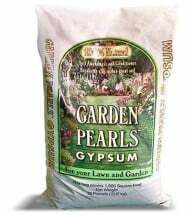 Loosens heavy clay soils while adding calcium and sulfur in a readily available form.